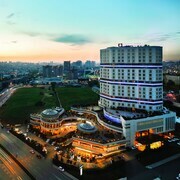 Located in Bagcilar, this hotel is 5.2 mi (8.4 km) from Sinan Erdem Dome. 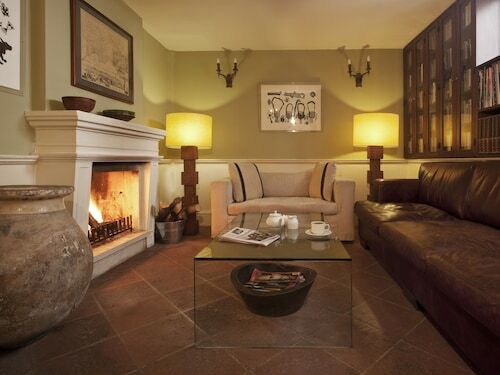 Lovely location in Istanbul and quiet, yet close walking distance to all. 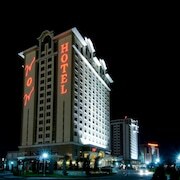 Would definitely recommend this hotel to family and friends visiting Istanbul. We found the service great, staff obliging and we could walk to historic sites in the Old Quarter of Istanbul. So glad we picked Ibrahim Pasha to stay for our time in Istanbul. It's a step away from the trams that make getting around Instanbul so easy. From the time our airport shuttle stopped outside the Sultanhan, Istanbul, until it arrived back to take us to the airport on departure, we were made feel welcome and special. 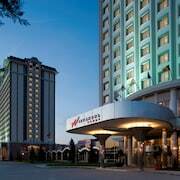 Which hotels are closest to the Istanbul airport? 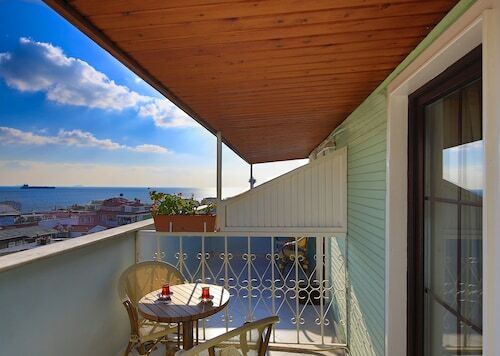 Can you find accommodation in popular areas of Istanbul? 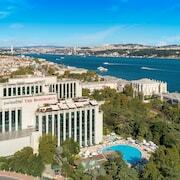 Where to stay near top Istanbul attractions? What kind of hotels are in Istanbul? 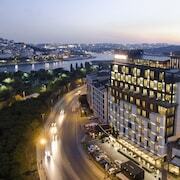 Which hotel chains are in Istanbul? History buffs will enjoy exploring Istanbul, and visitors give high marks for the abundant cafés, shopping, and fascinating museums. This city also attracts tourists with its cathedral, restaurants, and architecture. Top sights in the city include Mall of Istanbul, Mixer, and Suleymaniye Mosque. Well known for its museums, the city's cultural venues include Mixer, Hagia Sophia, and Istanbul Archaeology Museum. Families come for attractions such as TurkuaZoo, Vialand, and Miniaturk. Its historic sites and cathedral are notable and landmarks include Suleymaniye Mosque, Topkapi Palace, and Basilica Cistern. Hammamhane - With a stay at this aparthotel in Istanbul City Center, guests can enjoy access to free breakfast and a restaurant, along with an in-room kitchenette. It's a favorite with Expedia travelers for its breakfast and helpful staff. 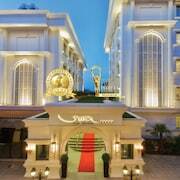 Ajwa Hotel Sultanahmet - Our customers like the breakfast and helpful staff at this hotel. 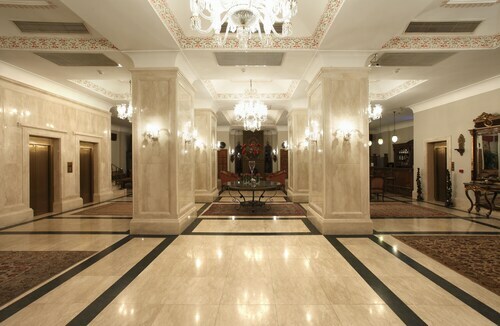 This 5-star hotel in Old City features a restaurant, an indoor pool, and free WiFi. 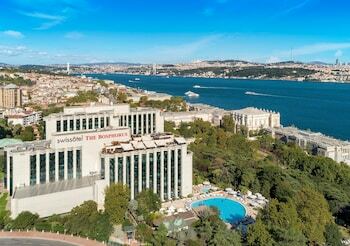 Raffles Istanbul - Guests who stay at this 5-star hotel in Besiktas can enjoy access to a full-service spa and 2 restaurants, along with free WiFi. Expedia customers like its helpful staff and proximity to shopping. Other favorite sights in Istanbul include Mall of Istanbul, Hippodrome, and Blue Mosque. With so many ways to get around, seeing Istanbul is a breeze. 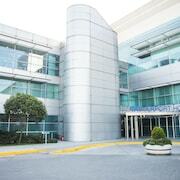 Nearby metro stations include Mescid-i Selam Station, Cebeci Station, and Sultanciftligi Station. If you want to journey outside of the area, ride aboard a train from Istanbul Halkali Station, Istanbul Kanarya Station, or Istanbul Soguksu Station. Istanbul is the only metropolis in the world that lies on two continents. With one foot in Europe and the other in Asia, it's no wonder the city is so cosmopolitan and culturally diverse. As the former capital of the Roman, Byzantine, Latin, and Ottoman Empires, Istanbul has an expansive history that spans many centuries. Throughout its different incarnations, Istanbul has been called both Byzantium and Constantinople. Whichever name you know it by, Istanbul is simply incredible. While many of the most visited sightseeing attractions reside on the European side of Istanbul, including the Blue Mosque, Aya Sofya, and Topkapi Palace, the more residential Asian (or Anatolian) side also has its own unique charms. Be sure to explore the beauty of both sides to make your trip to Istanbul complete. One of Istanbul's nicknames is the 'the city on seven hills.' Like Rome, the Istanbul of antiquity was built on seven hills, each with religious monuments, in both the Byzantine and Ottoman periods. Today you will still find many stunning sights on these hills. Topkapi Palace was the former royal residence of the Ottoman sultans. Set by the sea and overlooking the Golden Horn, today's Topkapi Palace is open to the public as a museum, with four primary courtyards and a wealth of treasures. Wander through leafy gardens and airy libraries, an imperial harem, and impressive gilded pavilions. Head for another hill and the Grand Bazaar awaits you. One of the largest covered markets in the world, featuring more than 6,000 stalls, the Grand Bazaar is a mecca for shoppers. Jewellery, spices, carpets, and pottery combine to create a seemingly endless range of tempting items. Test your bargaining skills or just enjoy a stroll around the structure itself, which seems almost like a palace. Side by side are two other must-see Istanbul sights. The beautiful mosaics and massive dome of the 1400-year old Aya Sofya leave visitors mesmerized. Equally extravagant is the working Blue Mosque whose six slender minarets are one of the most famous components of Istanbul's skyline. Istanbul is one of the oldest cities in the world and with such a long and rich legacy it would be easy to tour only the city's historical wonders. However, present-day Istanbul is one of the most vibrant, sophisticated, and cosmopolitan places on earth and no visit would be complete without experiencing what the modern city has to offer. 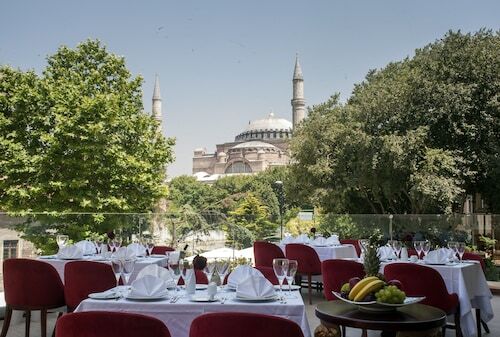 An evening out could include cuisine from all corners of the world (though be sure to try the sumptuous mezzes and kebabs), cocktails at an elegant bar on the Bosphorus, and clubbing until dawn. Istanbul at night is a beautiful sight. 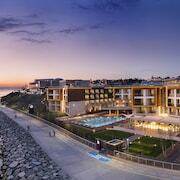 Take some time for leisure, too, like a traditional Turkish bath or a cruise down the Bosphorus Strait. One visit to Istanbul could never suffice and how could it? There are two continents to explore! So slow down and sip some fragrant mint tea, while you plan your return visit. 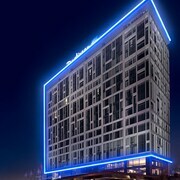 What are the most popular hotels in Istanbul? 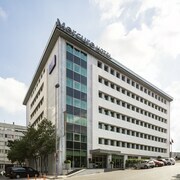 Are there hotels in cities near Istanbul? 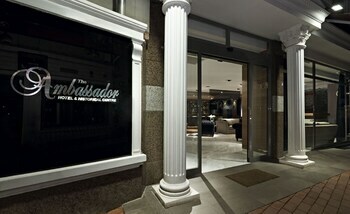 Explore Istanbul with Expedia.com.au’s Travel Guides to find the best flights, cars, holiday packages and more!